Fixing Your Damaged Car Paint? We can Do It For you Cheap & Fast! 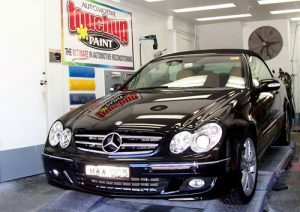 We Easily Repair Scratched & Chipped Damaged Paint! We have a state of the art special purpose built drive thru professional performance repair facility system to repair detail, maintain your all years & models car paint; we repair car body color with specialist auto touch up’s application tools enabling easy accurate precision needed repairs. We use pens, bottles, aerosols spray painting & kits which we use for the following types of body repairs and maintenance: paint scratching, stone chips, dents, scrapes, rust treatment & removal, car cleaning & detailing. Also see the latest D.I.Y Car Scratch Repair Products. We Repair Damaged Paint For You On Cars? Add hundreds of dollars in value to your car, simply by touching up the paint work. We repair stone chips, scratches, and remove marks. We have the ability to paint bumper bars at an affordable cost, keeping in mind that these inexpensive services add hundreds of $$$$$$ in value to your vehicle. We use factory mixed paints and products. 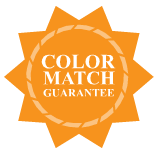 We have qualified technicians for a quality color match and service. Perhaps you would be interested in performing parts of the service by yourself. Simply ask for your Touch Up Color Matched Paint (ready for use). We Stock Colors Of Touch Up Paint For Every Car Ever Made?